Silicon Valley has a tendency to tackle social ills with big ideas, its feisty startups revolutionising everything from healthcare to education. Now a handful of billionaire engineers have turned their attention to a social blight that affects their own kind: the lack of appreciation (and funding) for scientists. The second Breakthrough prize for life sciences is being awarded on Thursday at Nasa’s Ames Research Centre in Mountain View, California, about a five-minute drive from the headquarters of Google. It will probably be the most lavish awards ceremony that its six winning scientists have ever been to. Actor Kevin Spacey is expected to host, while comedian Conan O’Brien and actor Glenn Close will make presentations. Organisers hope for the whole event to be televised, and the six prizes will be worth $3m (£1.83m) – each. This is among the most lucrative awards in science, almost triple the size of the Nobel prize, and bigger than the $1.7m Templeton prize. It’s expected to be bigger and bolder than the last similar ceremony, held on 20 March 2013 in Geneva, Switzerland, where Morgan Freeman hosted and Sarah Brightman sang. 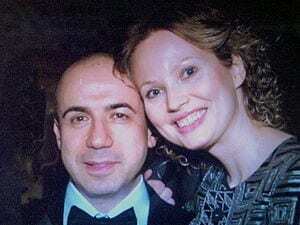 It’s like the “Oscars of science”, says Yuri Milner, the wealthy technology investor behind it all. Once upon a time Milner was himself a physics major at Moscow State University, but he ended up dropping out and embracing the world of tech investing instead. In 2009 he steered one of the first big funding rounds in Facebook, before putting money behind Groupon, Zynga, Twitter and Airbnb and picking up a host of new contacts and street cred in Silicon Valley. In 2011 Forbes magazine valued him as a billionaire. The following year, he launched his original Fundamental Physics prize and bestowed $3m on Alan Guth, a physics professor at MIT who conceived the idea of cosmic inflation and the early rapid expansion of the universe. Guth’s bank account reportedly zoomed up from $200 to $3,000,200 after organisers deposited his prize. There was a $12 wire transfer fee, but he probably didn’t mind paying that. In the past year, Milner has invited some of his billionaire friends in the Valley to stump up money for the prize too, and in what he says are roughly proportional slices: Google’s Sergey Brin, Facebook’s Mark Zuckerberg and Alibaba founder Jack Ma have agreed to join him in contributing $7m annually to both prizes. The four men are worth nearly $52bn combined, according to the latest estimates by Forbes magazine, and Milner suggests with a chuckle that their commitment to annually funding the award won’t wane any time soon. All winners are also obliged to be on a committee to judge the next year’s nominees, which is why the first round of winners of the Breakthrough prize was the biggest: 11 scientists took home a total of $33m. Both the Breakthrough prize and the Fundamental Physics prize seem to be Milner’s attempts to remain instrumental in the field that intrigued him all those years ago, and bestow riches unknown among even its biggest luminaries. His reasoning is that the public puts an unhealthy emphasis on figures in the world of entertainment and sport, while fundamental science gets neglected. “It’s not a good thing for society at large,” he says. “There was a time when people like Einstein were well known and recognised by the public. They had a lot of influence.” A lack of collective interest in fundamental science means people don’t think as much about “the big questions” of life and the universe as they could. “What is the universe? What is energy, matter, the stuff of life? Where did they come from, how do they work?” The ideas posed as answers, he says, can be “unifying”. “Instead, we focus on the very short-term problems that have an immediate impact on our lives,” Milner says. He says British theoretical physicist Paul Dirac‘s prediction of the existence of positrons and his relativistic quantum mechanical equations were among the key breakthroughs that led the field of technology ultimately to build semiconductors, create computers and the whole of Silicon Valley. To Milner’s undoubted chagrin, far more people in Silicon Valley itself probably know about David Beckham than Dirac. March 19, 2019 - Karen Uhlenbeck Is First Woman to Win Abel Prize for Mathematics The New York TimesDr. Uhlenbeck helped pioneer geometric analysis, developing techniques now commonly used by many mathematicians.